Exercise your body and mind! Here’s Where to Get Fit in Philly Without Going Broke and where to test your pop culture knowledge at these themed trivia nights. Lend a helping hand on Martin Luther King Day on Monday, January 15. The 23rd Annual Greater Philadelphia MLK Day of Service has a long list of community volunteer opportunities. Take a break from your clean eating resolution for one day. Come on, it’s just one! CCD Restaurant Week is happening January 14-26 at 50+ local spots. Three-course lunch, $20. Three-course dinner, $35. This is a popular deal so make your reservations now. Lace up your skates and hit the ice at A Snowy Bowie Skate on Saturday, January 13 and Open Arts College Night: Skate Night on Wednesday, January 31, both happening at Blue Cross RiverRink Winterfest. Start the New Year off right by finding, advocating, and teaching others to discover their voice! 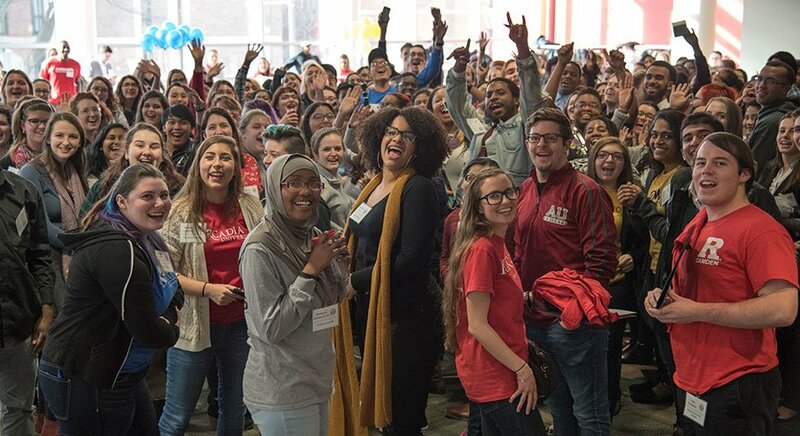 Campus Philly and Temple University will be hosting the Inclusive Leadership Conference on Feb. 3 for ALL Philadelphia-area college students. Register here. Previous PostPrevious Ring in the New Year Philly-style!